Todd Elliot Entertainment provides top quality professional wedding, event, and party zydeco, Cajun bands. We provide zydeco, Cajun bands for all of Southern California including Los Angeles, San Diego, Orange County, Santa Barbara, Palm Springs, and any cities in between. Check out more information below! One of Southern Californias Top Zydeco, Cajun bands, Bs Swamp Zydeco Band has been together since 1994. The band will have everyone dancing and grooving to the Zydeco beat. 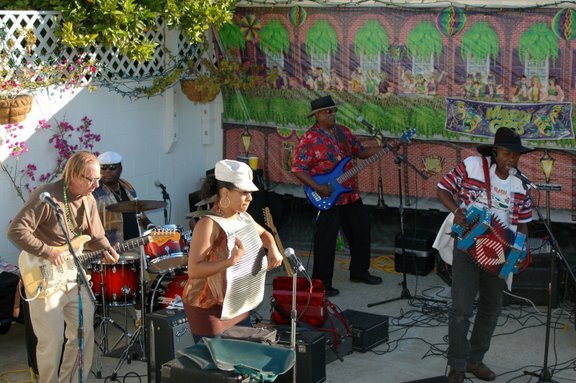 They have played at many festivals and events including Mardi Gras, The Long Beach Cajun and Zydeco Festival, Fiesta Ballona and many other parties, themed functions and weddings. If you are looking for a great, fun Zydeco band that will keep your audience dancing and having a great time, this is the band for you.